The number one source for Hard Rubber Mouth Full Cheek Bits and Equine products. 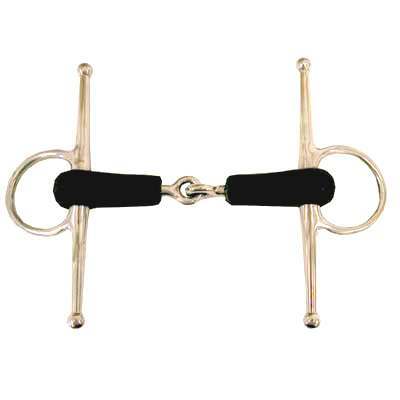 The Hard Rubber Mouth Full Cheek Bit with 6 1/2'' Cheeks that we offer is a Top Quality item for your Horse. This item give lateral control and measures 1 1/2'' in rings and 18mm mouth. This item is made of top quality materials that will last a lifetime. If you are in need of rubber mouth full cheek bits for your horses this item is just what you need. All our items are sold at unbeatable discount prices.